Starting January 1, 2019: IRB-Dearborn will be consolidated with IRB-HSBS as a pilot initiative. UM-Dearborn researchers should notice little difference in the submission and review of IRB applications, as all Dearborn projects will continued to be reviewed by Dearborn faculty serving on the IRB-HSBS boards and as Deb Schneider will continue her role as the Core Staff representative assisting the Dearborn campus. For additional detail, see the UM-Dearborn Human Subjects website. The Health Sciences and Behavioral Sciences Institutional Review Board (IRB-HSBS) is responsible for protecting the rights and welfare of human subjects participating in research conducted by faculty, staff and students affiliated with the University of Michigan – Ann Arbor Campus (see list of supported units). The IRB-HSBS consists of two (2) boards led by the IRB Chair, Thad Polk, Ph.D., who is supported by Vice Chairs Riann Palmieri-Smith and Rob Hymes. Each board meets monthly. Designated IRB members also conduct expedited review of applications on a rolling basis. Each board includes faculty representatives from U-M Dearborn. The IRB-HSBS regulatory compliance staff supports the operations of the two boards. 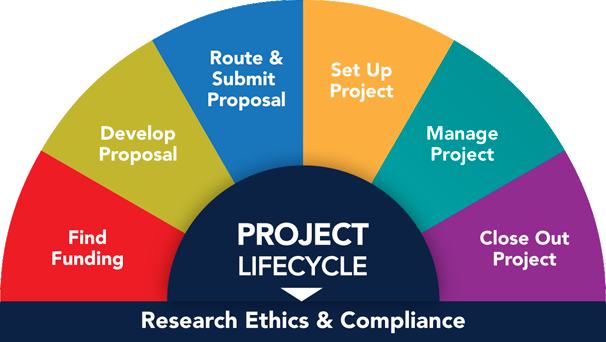 As a researcher, most of your interaction with the IRB is through the staff as they assist you with questions about IRB process and regulatory requirements, as well as provide educational programming to the research community. Issue exempt determinations and other decisions. Designate a faculty advisor on the IRB application for research conducted by students. The faculty advisor shares responsibility with the student for the ethical conduct of the research (see Resources below). Does my project involve human subjects? Identifiable means that the subject's identity is or may be readily ascertained by the investigator or others, or is associated with the information or biospecimen. Private information includes information about behavior that occurs in a context in which the subject can reasonably expect that no observation or recording is taking place; or, information provided for specific purposes by the subject in which the subject can reasonably expect will not be made public (e.g., medical records, academic records, personal journals). Systematic investigation is an activity designed to test a hypothesis and to draw conclusions as described in a formal protocol that sets forth an objective and procedures to reach that objective. Activities such as the practice of public health, medicine, counseling, or social work are not research. Generalizable knowledge is information expressed in theories, principles, and statements of relationships that can be widely applied (e.g, by publishing findings or presenting findings at a professional meeting). Studies for internal management purposes (e.g., program evaluation, quality assurance, or quality improvement) are not research because the intent is not to provide generalizable knowledge but to apply findings only to the program or activity. 2. Does the research involve human subjects? The university is "engaged" when the research is conducted by U-M faculty, staff, trainee, or other agent acting in connection to their university responsibilities. See OHRP's Guidance on Engagement of Institutions for more information and examples. Direct awards from federal sponsors that meet criteria #1 and #2 are always reviewed by a U-M IRB, whether or not the university is engaged in the research. If you answer "no" to any of these questions, you may have other obligations than IRB review. See the U-M HRPP Operations Manual Part 4, Section V for more information about regulated/non-regulated research. Links to resources by topic in alphabetical order! All U-M IRBs (IRBMED, IRB-HSBS, IRB-Flint) follow the same policy for genomic data sharing. Before submitting your application to conduct research involving genomic data sharing, please review University of Michigan's policy on ORSP's page as well as the guidance found on the IRBMED page.